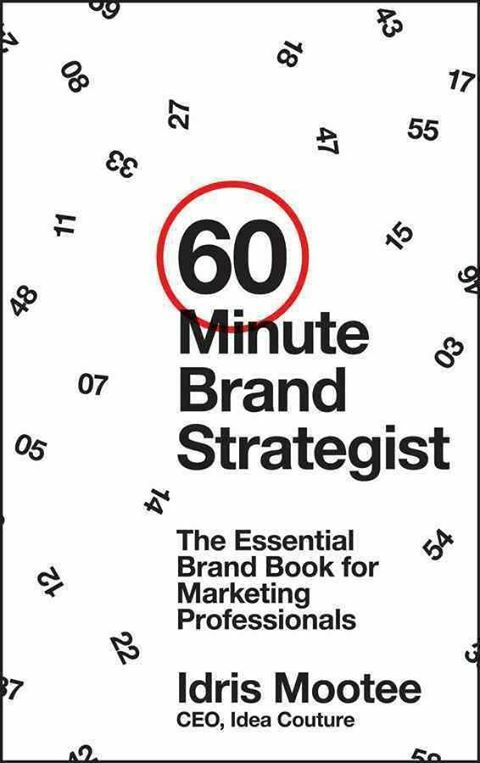 The challenge inherent in books like “The 60 Minute Brand Strategist” by Idris Mootee is one of degree. From the outset, the writer runs the risk of, on the one hand, demonstrating that the topic is, in fact, just too complicated to be conveyed in the book you hold in your hands. And on the other hand, if the writer actually does explain something hitherto mystifying in sixty brief minutes, you’re apt to finish with a reduced impression of the topic, thinking “Really? That’s it? What’s so damn hard about that? In many ways, it is a no-win situation. Thus it is to Mr. Mootee’s credit that he walks the exceptionally fine line that at once makes strategy understandable to the initiated and to the novice while at the same time arming the reader with the kinds of questions and processes that will allow him to put the subtleties and nuances of strategy to work for his organization. Frankly, it is an exceptional accomplishment. A daunting mission indeed, and one that Mr. Mootee accomplishes by organizing his book’s nine chapters around three tasks. The first, comprised of the initial five chapters, explains the use, value and application of branding. The second is dedicated to the unique challenges and opportunities facing luxury brands – and is covered exclusively in the sixth chapter. And the third consists of tools and processes for providing more than lip service to strategic research. And if brand managers venture beyond the comfort of spreadsheets and price-offs into the dangerous world of emotions and brands, what will be the pay-off? And what brand manager doesn’t want that? Provocative indeed. As is the book’s design. And to be sure, some will be put off by it. Do not let yourself be one of them. The design admirably grounds the at-times highly abstract discussion of the nature of branding by splashing some of the world’s most famous and distinctive brands in energetic spreads that underline key points of the text. But it does more than that. It also helps delivers the book’s own brand. It helps to make sure that you remember this one unique, memorable and compelling book amidst the hundreds of others it competes with. And isn’t that the real lesson anyway? 60 Minute Brand Strategist by Idris Mootee was published by Wiley on 05/13/13 – order it from Amazon here or from Barnes & Noble here – or pick it up at your local bookseller (find one here).